R.J.H King, ‘Eating Well: Thinking Ethically About Food’ in Food and Philisophy: Eat, Drink and Be Merry. F. Allhoff and D. Monroe (eds). Oxford, Blackwell: 177-191, 2007. It was a great relief last night to see the book Eating Heaven officially launched. Because my writing is atrociously slow, whenever something finally eventuates, my sense of relief is beyond reasonable. Still, it was an affirming night full of supportive friends, generous words and lots of book sold! Readers Feast bookstore was the venue, a wonderful neighbour to Collins Street and a beautiful space. For me, the highlight of the night was having my friend Sean Winter speak. We share an equal passion for what’s in the bible and what’s on offer at the delicatessen. His words were a gift and I share them here. My first words must be of congratulations to Simon for completing this project. Those of us who must write, whether out of obligation or compulsion, will know that producing a completed manuscript always comes at a cost. If the manuscript is any good, then you can be sure that the cost will have been greater. Whatever creativity, inspiration and encouragement there may be, they count for nothing without the extra ingredients of discipline, craft and hard work. Finding those elements within the busy life of a Baptist Minister is doubly difficult. Annie Lamott refers to the writer’s work as that of taking things ‘bird by bird’. This is a book packed full of evidence of Simon working at his theme table by table. My congratulations to Simon, and my commendation of this book to you all, comes from the real sense that the work was worth the cost, and that you, dear readers, have a bargain in your hands as a result. This is a book about food and, to a much lesser extent, drink (the astute among you will note a strong focus on the coffee bean, but from my perspective a lamentable lack of reference to the grape). At the simplest level it is about where we eat: at the kitchen, in the backyard; the relaxed context of the café, and the rather more demanding context of the 5-star restaurant; the tables where so many do their work, and around which we gather to celebrate; the table of multicultural diversity and encounter. As is befitting a book about eating written by a Baptist minister, there is a chapter on the table (a good Baptist word that) to which God invites us all. This simple, elegant structure might suggest to you that this is an easy book to read. It is. It is written with characteristic precision and elegance. 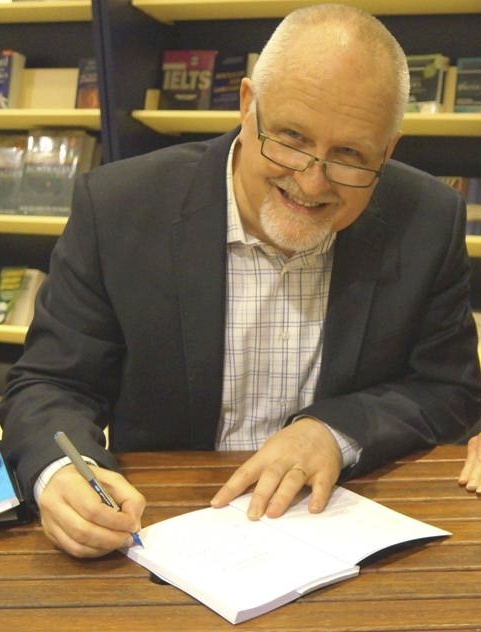 Statistics about the patterns and habits of eating in contemporary Australia are woven into personal stories and narratives of Simon’s encounters with others from whom he has learned something about the spirituality of the table. There is spiritual, theological and (I am glad to see) biblical reflection placed at the heart of each chapter. There is an admirable vulnerability in the way that reminiscences of childhood or more recent experiences are recounted. The whole thing is done with a lightness of touch. I confess that I read it in a matter of a few hours, sat in airport lounges in Nairobi a week or more ago. You will find this book, as I did, a pleasure to read. But of course simplicity can be deceiving. As the best chefs, and writers about food know, there is a kind of simplicity that is problematic. My wife was telling me the other day of a childhood memory of a friend of the family announcing that her carrot and orange soup was a wonderfully simple recipe: a tin of carrots and a small frozen block of un-reconstituted orange juice was all you needed. This is not the simplicity we need; in the food that we eat or in the books that we read. There is also a kind of simplicity that seeks to disguise, mask, or hide complexity whether out of fear, laziness or lack of wisdom. My own culinary epitome of this tendency (and here I may well be treading on some toes) is the oven baked risotto: a dish that may well end up tasting OK, but which will always lack the subtleties of the real thing. The great French chef, Escoffier, described the rules of cooking as follows: ‘surtout, faites simple’, above all, keep it simple is a rough translation. The simplicity he had in mind was neither simplistic nor misleading. Rather it is a revelatory simplicity, one that leads you deeper into things, that clarifies, unveils, surprises and transforms. My favourite fictional clergyman, John Ames of Marilynne Robionson’s novel Gilead, writes to his son that ‘this is an interesting planet, it deserves all the attention you can give it’. Having read this book, I think that Simon is searching for, has found, and now offers to us the readers, the idea that the table–the simple act of sitting down, preferably with others, to eat and to talk–this is the place where we learn to pay attention to the world; to its reality, its struggles, its joys, its wonders, its glory. 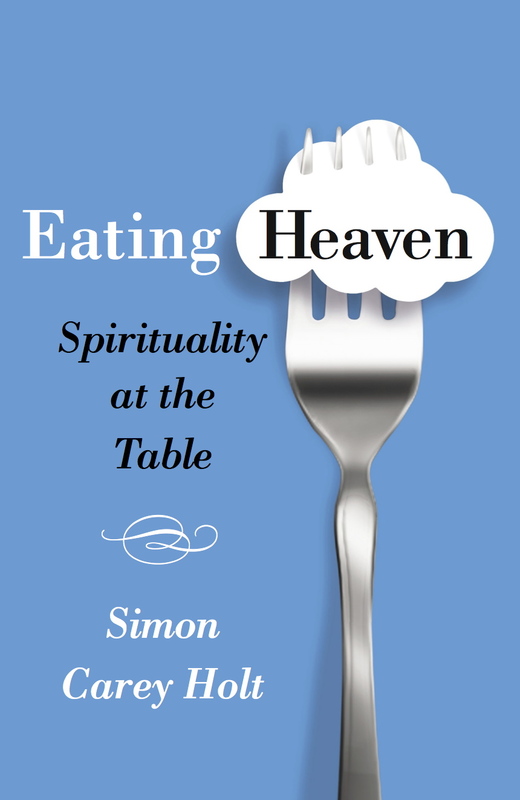 Simon believes and passionately argues that when this happens, when we find that kind of simplicity, the tables of our lives become spiritual places. Transforming encounters become possible: with creation in its beauty and richness; with people in their need, struggles, hopes and creativity; with friends and family in ways that continually sustain us; and (and this is the point of the final chapter on the communion table), a potential encounter with God. So, this is a simple book but in all of the right ways. And as such it should probably be savoured, a chapter at a time. Like a good piece of Valrhona chocolate, or a perfectly ripe fig, or a slice of San Daniele prosciutto, or better like a fig wrapped in the ham. Because the arts of cooking and of eating consist of little more than putting ingredients and people alongside each other in such a way that together we can glimpse something of the truth of what it means to live in this world. I plan to go back to this book and re-read it. I will try the recipes. In fact Simon, I suggest that we might collaborate on the next project: a full-scale cook book, to be followed by a television series. We have had Two Fat Ladies, Two Hairy Bikers, Two Greedy Italians. I think that two, slightly portly, middle aged Baptist ministers might well be the next big thing. Friends, Eating Heaven is a work of insight, stimulation, enjoyment and, at times challenge. On that basis alone I commend it to you, for yourselves and for all those awkward friends and family members for whom it might be wise to buy their Christmas presents early. It is also the work of one whom I am proud to call my pastor and my friend. Simon, congratulations. May this be a book that sells well, but more importantly one that helps us all to see the truth of our world and our lives a bit more clearly.